The title of Daniel Orozco’s “Only Connect” serves as an instruction, or even a mantra, for the reader. The story reminds me of a relay race: Bennett, a whiny psychopharmacology researcher, holds the baton until he is mugged and killed by two men on a mission to make enough cash for their next drug buy. Then Costas—the older of the men—shares the baton with his business partner and lover, a young man known only as “the kid,” who holds Costas completely in his thrall. We travel with Costas and the kid until they connect with Hailey, a lonely woman on an ice cream run turned witness to crime. Whether she wants to or not, Hailey must carry the baton to the end of the story. It would be so easy for each of these characters, especially in a story of only ten pages, to be reduced to archetype—Victim, Criminal, Bystander—and easier still for Orozco to round out one character at the expense of the others. But “Only Connect” is not simply the story of Bennett being in the wrong place at the wrong time, nor is it the story of Costas’s willingness to indulge the kid’s whims to the point of killing a man, nor is it a story about how Hailey’s ability to stay anonymous at a crime scene seems almost disappointing, seems only to exacerbate her profound loneliness. Still, Hailey transcends the role of bystander late in life, after decades of disappointment, when Orozco writes for her an unexpected connection with a client. Orozco’s decision to grant Hailey happiness is one of the most beautiful, merciful moments I’ve ever witnessed in fiction. That moment doesn’t bring Bennett back to life (not that I miss him much); even when Hailey flashes back to the night of the death, it isn’t him that she remembers. It doesn’t reveal whether or not Costas and the kid “last through Christmas,” or even live much longer themselves. It doesn’t even prove whether or not Hailey’s act of witness is a fateful one, if the night of the mugging really does change the course of Hailey’s life. What it does accomplish is something bigger: an echo back to “only connect,” a reminder that supporting roles are only a matter of perspective. 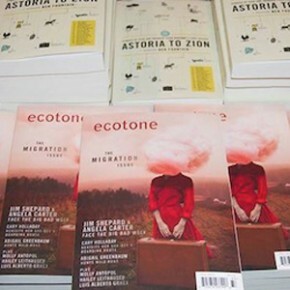 Read “Only Connect” in Astoria to Zion: Twenty-Six Stories of Risk and Abandon.